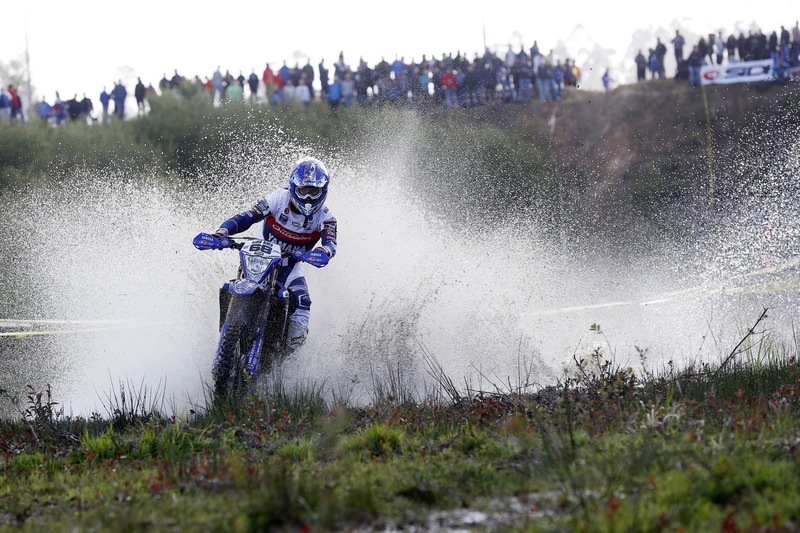 Putting in a dominant performance under changing conditions in Spain, Outsiders Yamaha Official Enduro Team rider Jamie McCanney wrapped up round two of the 2018 FIM Enduro World Championship with two Enduro 1 class victories. Collecting 40 valuable points in Santiago de Compostela, the WR250F powered rider has further extended his lead in the Enduro 1 World Championship’s provisional standings. Living up to everyone’s expectations, the GP of Spain was a great physical and mental challenge for all competitors. Despite occasional rainfall making conditions demanding, McCanney remained consistently fast throughout the weekend in the north of Spain. The GP started with Jamie making a few small mistakes in the short opening SuperTest, which had the Outsiders Yamaha Official Enduro Team rider settle for a ninth-place result. Showing what he is capable of as soon as the race moved into its main part on day one, the WR250F mounted rider was never outside the top four in any of the twelve tests contested on Saturday. Carrying his winning momentum into day two, the Manxman topped the 250cc class’ standings by more than one-minute over his closest rival. Two demanding rounds into the 2018 FIM Enduro World Championship, Yamaha’s official representative in the Enduro 1 category currently enjoys a four-point lead in the class’ provisional championship standings. Jamie McCanney and the Outsiders Yamaha Official Enduro Team return to action in Castelo Branco, Portugal for round three of the 2018 Enduro World Championship on May 4/6.